What Does It Claim To Do: Targets fat storage, reduces cravings, balances blood sugar and lifts mood. Weight loss products have been evolving ever since researchers and scientists have discovered that natural ingredients can serve as a much safer way to lose weight and burn fat. 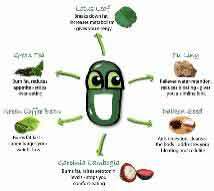 In fact, nearly every new supplement that hits the market touts its all-natural ingredients as being more effective than the earlier generation of diet pills that had some adverse reactions and sometimes fatal results. LotusLite claims to be a weight loss product designed to help you lose weight the natural way. LotusLite was founded by a self-confessed yo-yo dieter who discovered the product from the Far East. Its most active ingredient is lotus leaf, an aquatic plant that is found in the tropical areas of the Middle East and Asia. Aduki Beans to stabilize blood sugar levels and curb your sweet tooth. You can take one or two pills each day depending on how much weight you want to lose. However, the recommendation is to start with one pill and then add a second one if you are not seeing results or your appetite has not changed. One package of LotusLite costs approximately £20 and is good for a one-week supply. You can also buy it in two to three-week packages and one to two-month supplies. LotusLite’s blend of distinct and uncommon natural ingredients is what makes it different from other weight loss supplements. The founder’s personal story of weight loss success and failure as well as how she discovered the product is an indication that LotusLite was not a supplement put together by scientific researchers in a lab. LotusLite’s website does show some testimonials, with pictures, of customers who used the product and lost a significant amount of weight. There are both men and women with before and after pictures along with a nine-minute video of people telling their personal stories about LotusLite and how it changed their lives. The product’s website even boasts that all of their customers reported that they stopped eating foods like chips and chocolate while taking LotusLite. One of the most impressive aspects about LotusLite is that they are so confident that you will love the product that they offer a one-hundred percent, money-back guarantee if you do not like it for any reason. You can even try the product for free (with a small shipping cost). If you register on their website, you can receive a three-day supply to try it before buying it. How is that for confidence in a product? Probably the biggest negative about LotusLite is the cost. £20 for a one-week supply is a lot more than most other weight loss supplements. Of course, you probably want to order more than a week’s supply. The website does recommend that you purchase the bottle that contains sixty capsules which will cost you around £40. That is still quite a lot of money if you are using two capsules per day instead of one. The reviews are good and the money-back guarantee and the free three-day offer is enough of an incentive to give it a try without any risk. They also have a private members group on Facebook that allows users to share their stories and help each other. Not many other weight loss supplements offer that kind of support to their customers. This is another point in its favor for caring about its customer’s well-being and continued success. Finally, the all-natural ingredients and the absence of side effects are encouraging to those who are worried about what they put in their bodies and what might happen if they try something new. There is no need to worry with LotusLite as they fully disclose what is in their product and what each ingredient is responsible for doing in your body. You do not have to worry about wondering what will happen or how you will feel. While LotusLite appears to be a good product, it would not make our list of top diet pills. Lotus Leaf would be in everything if it were as effective as some of the more powerful products out there. Follow the link below to read about our best weight loss supplements.